Barbara Napangarti Reid was born at Paaya near Tjukurla in Western Australia, in the Tjukurla region of the Gibson Desert. 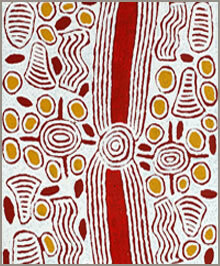 Barbara's distinctive works depict her traditional country in the Gibson Desert. 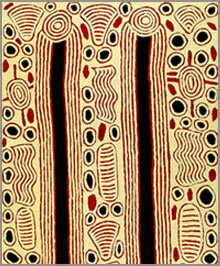 Barbara Napangarti Reid began painting in 1987 with the Centre for Aboriginal Artists in Alice Springs. 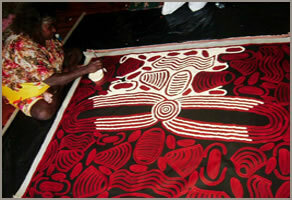 Barbara's distinctive works depict her traditional country in the Gibson Desert. Many of her paintings show the Puli - rock formations, and Tali - sand hills of this country and tell women's ceremonial stories related to the formation of the natural environment.